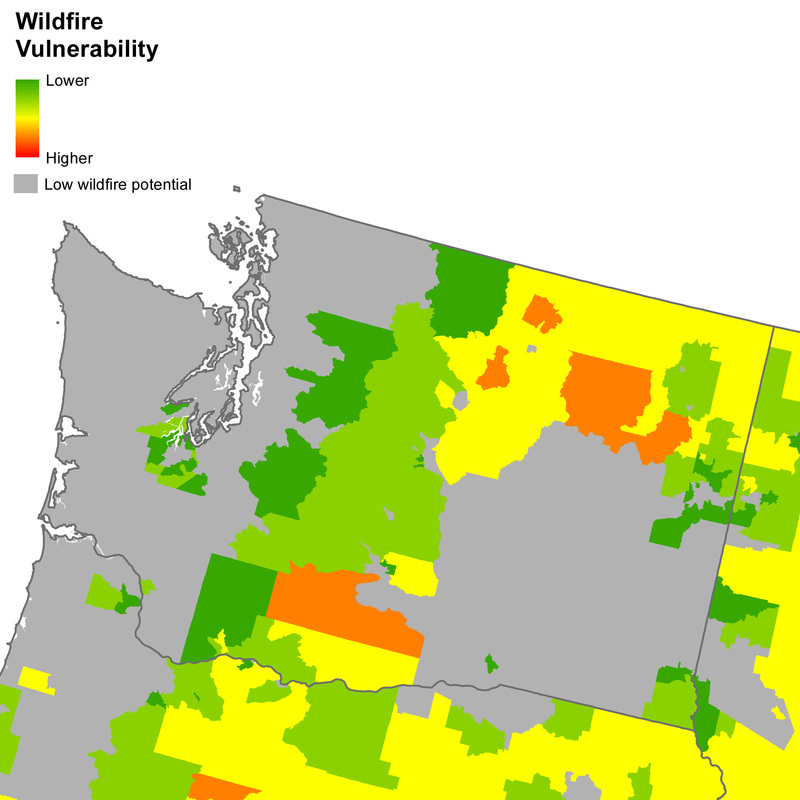 Researchers at the University of Washington and The Nature Conservancy used census data to develop a “vulnerability index” to assess wildfire risk in communities across the U.S.
Their results, which were published in the journal PLOS ONE, show that racial and ethnic minorities face greater vulnerability to wildfires compared with primarily white communities. In particular, Native Americans are six times more likely than other groups to live in areas most prone to wildfires. This study is one of the first to integrate both the physical risk of wildfire with the social and economic resilience of communities to see which areas across the country are most vulnerable to large wildfires.